View More In Shaped Rubber Wristbands. 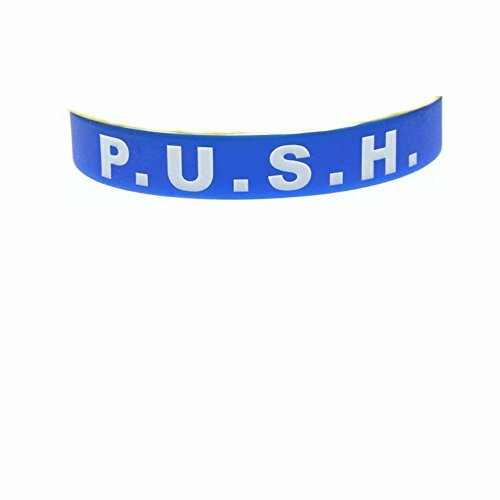 P.U.S.H. Pray Until Something Happens Silicone rubber wristband bracelets available in Blue (white filled letters) for easier reading. U $1.00 each in 12's. Sunday school teaching supplies. Pack of 12 bracelets. If you have any questions about this product by Sterling Gifts, contact us by completing and submitting the form below. If you are looking for a specif part number, please include it with your message. Amscan PAW Patrol Rubber Bracelets, Saver Pack of 6 (Each Includes 4 Pieces), Made from Rubber, Multicolor, 2 1/2" x 7/16"